I already shared the concepts about customer feedback form. 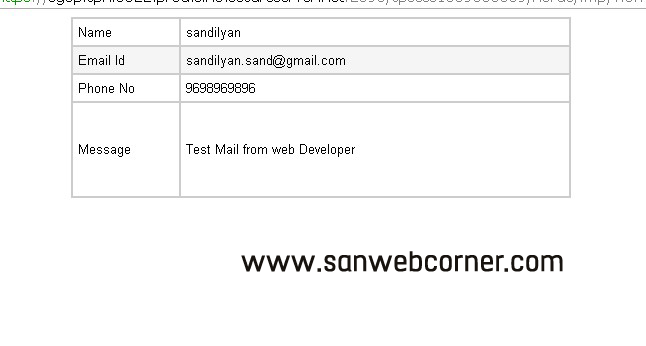 Now we will see how to send the feedback information to the particular email id in the format of table. If you can implement the tabular format information you can use the html tag inside the php tag. The below code is very helpful to send the feedback form information in the format of tabular. This example works 100% . 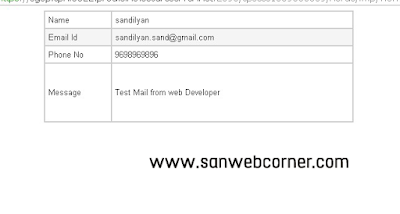 I hope this example will really helpful to the programmers to send the form information in the tabular format to the email. Here is the demo page. You can check the form here and you can't able to view the result here, so you will check in your server. Here is the option to download full code by clicking the below download button.